Hits FM 91.2 maintains weekly music chart. The most followed charts are Hits Xpress Bollywood Songs, Megatops Chart English Songs, and Hits Countdown (Nepali Songs). 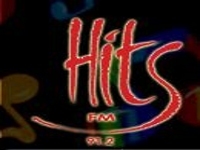 Hits FM 91.2 is one of the most listened FM in the country, with one of the highest rated shows. It is ranked among top 40 radio in the World (Asia, Africa, Australia, South America) by UK and Irish Radio Stations broadcasting on the Internet. Hits FM is a radio station based in Kathmandu, Nepal. It is a subsidiary of Hits Nepal Pvt. Ltd., which was established in January 1996. It went on air in April 1996. It is now available 24 hours daily on 91.2 MHz. Its philosophy is to hire presenters who are “fresh” – thus ensuring originality and also the ability to shape the presenters in accordance to overall goals and objectives of Hits Nepal Pvt. Ltd. 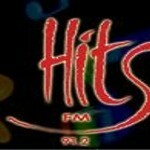 Hits FM maintains a weekly music chart. The most followed charts are Hits Xpress (Bollywood songs), Megatops Chart (English songs), and Hits Countdown (Nepali songs).It is one of the most listened-to FM stations in the country, with one of the highest-rated shows. It is ranked among the top 40 radio stations in the World (Asia, Africa, Australia, South America) by UK and Irish Radio Stations broadcasting on the Internet.